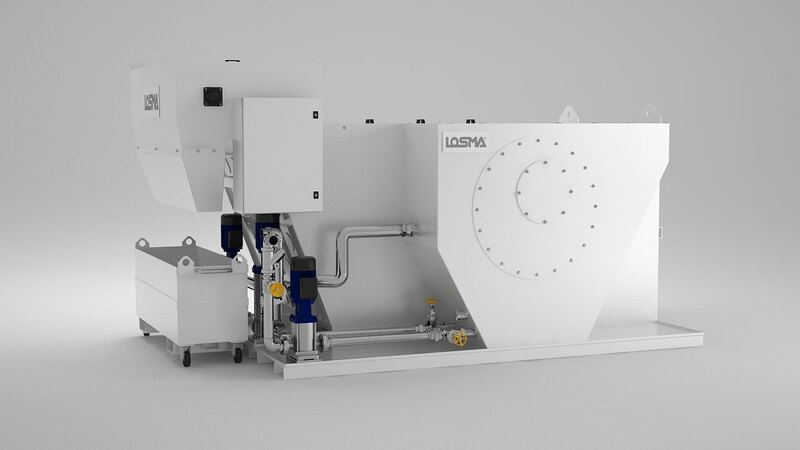 Spring Compact is a self-cleaning drum filtration system, suitable for flowrates ranging from 100 to 5000 l/min of neat oil or emulsion. 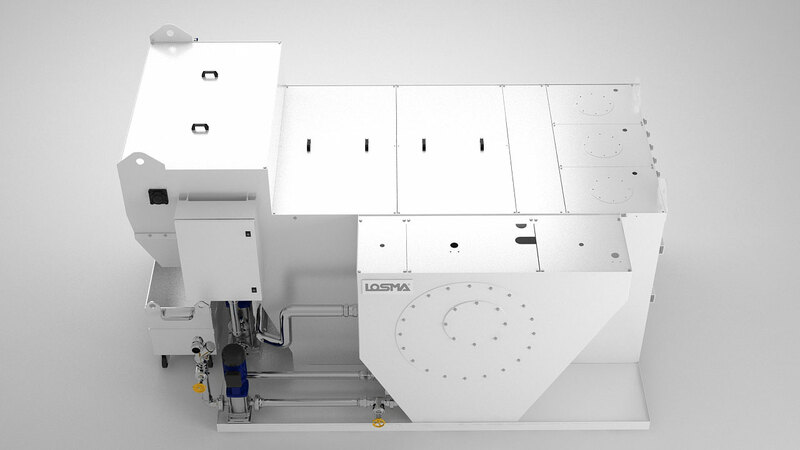 Spring system uses metallic filter net which is cleaned thanks to a self-cleaning system. 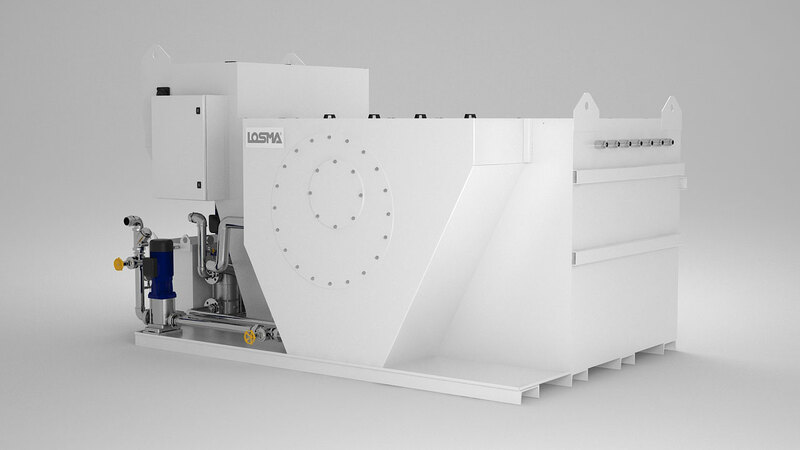 The drum’s filtration efficiency can be customized according to customer requirements. 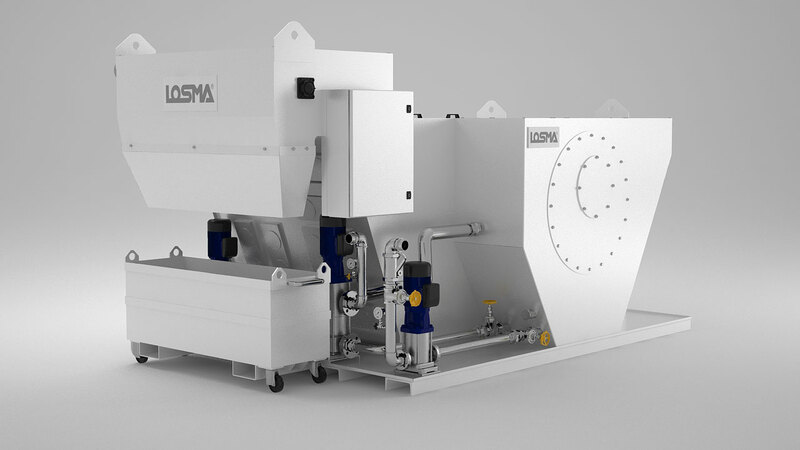 Spring Compact has the characteristic of processing only the quantity of coolant needed by the machine; the clean coolant tank is welded in one piece together with the filter. The metallic filter net covering the drum is clean (A). 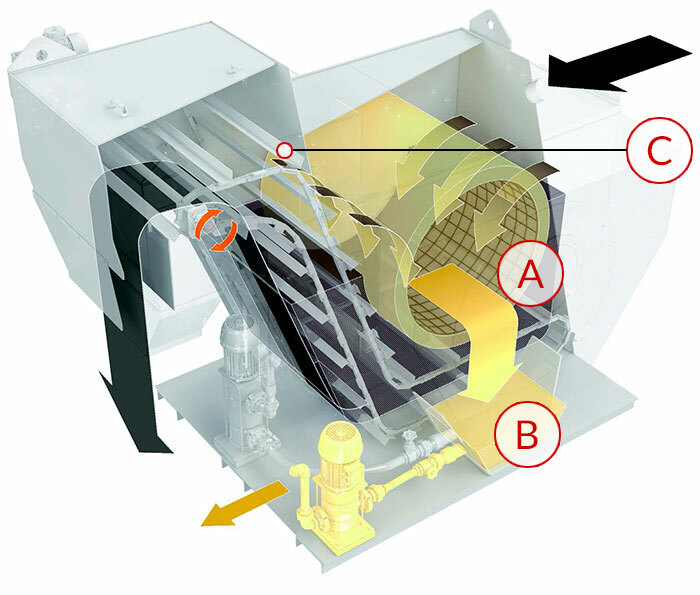 The dirty coolant passes through it depositing the pollutant particles and goes through the discharge opening (B). 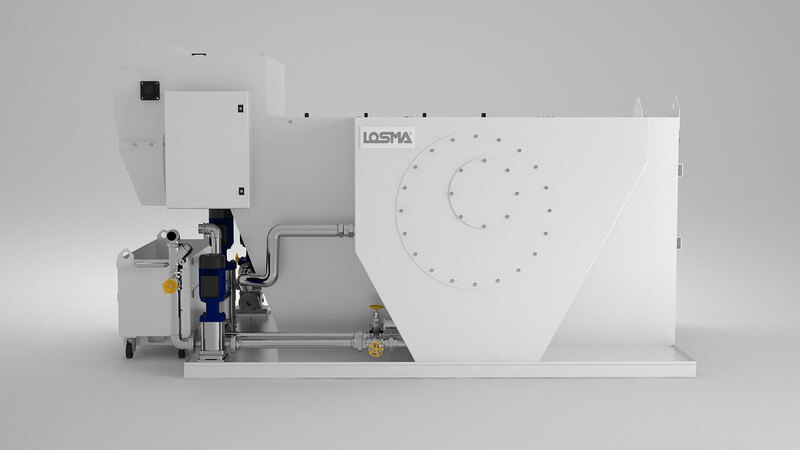 From here the clean coolant falls into the collection thank welded in one piece with the filter, from where pumps will transfer it back to the machine tool. During this phase the drum does not rotate and the dredging system is stationary. The polluting particles deposited on the filter net forms the actual filtering layer which can also reach a thickness of 10-15 mm. As the filter net gradually gets dirty, the liquid level increases. The dirty coolant continues to deposit pollutant particles onto the drum surface, while the drum and dredging system (C) are still. The filtration level improves due to the thickness of the mud deposited on the filter net. Coolant cannot pass through the filter net any longer – filter net clogging cycle is complete. This phase is when the best filtration level is reached. The longer the filter operates under these conditions, the better the average filtration will be. 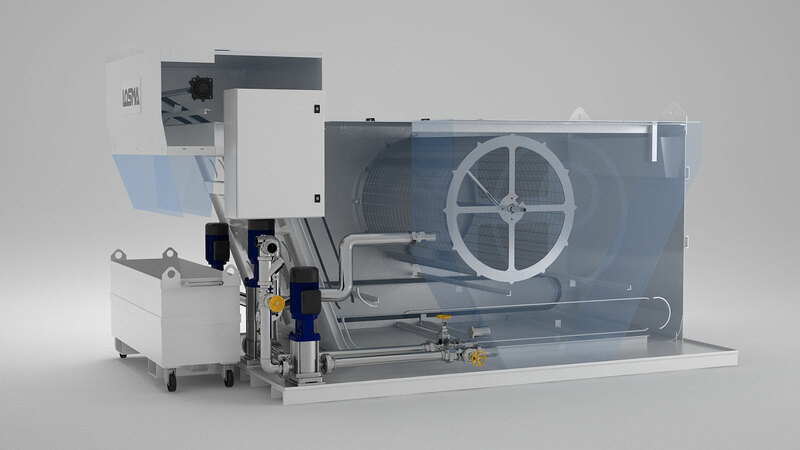 When the coolant reaches the maximum internal level allowed, a self-cleaning cycle is started automatically and the drum rotates. At the end of this phase the coolant level descends and the filtration cycle begins again. Used to reduce the volume of mud intended for disposal and for reducing the liquid contained therein. The obtainable compacting level can change on the basis of mud, liquid used and many other factors such as cycle timing. 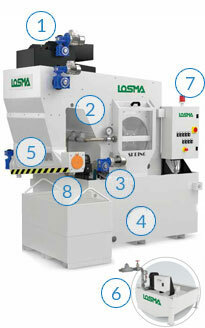 The reduction in volume and of humidity is obtained through pressing with static load. 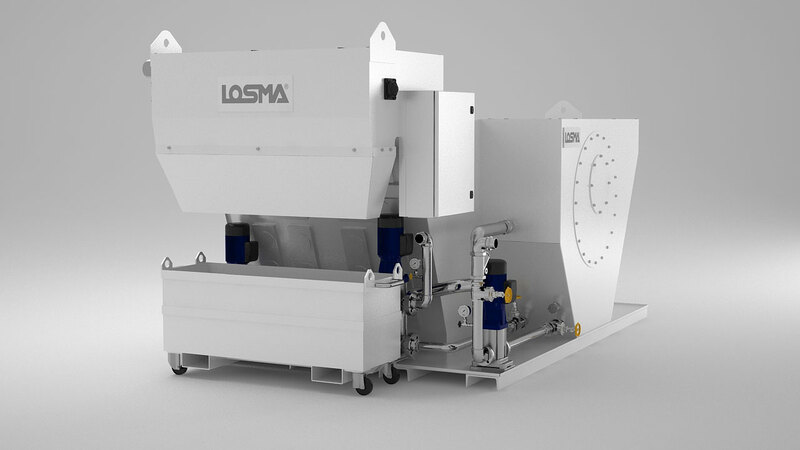 The volume efficiency reduction is from 40% to 20% and for liquid residual from 30% to 10%.